Spring sporting events are a great way to get out of your apartment in College Park and socialize! Spring is arguably the best season at UMD. With cherry blossoms blooming all over campus and the lawn finally getting green again, students walk to campus with a little bounce in their step. Warm weather brings us outside. 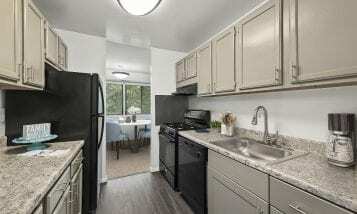 Firing up the grill, playing a match of beach volleyball or studying in the sunshine are all great reasons to venture outside your apartment in College Park, this spring. But if there’s one more excellent reason to head out, it’s all the awesome sports games happening in the following months. Below, we’ve got the top three spring sport picks and some awesome ways to show your Terp pride! Terrapin Lacrosse is on a winning streak. The women’s team won the NCAA championship in 2014 and 2015. Both the men’s and women’s teams took championship titles in 2017. And they’re set up to have another tremendous season this year! Both men’s and women’s lax have two home games left in their respective seasons, all four of which happen to be conference games. The women will play on April 19 vs. Penn State and on April 26 vs. Northwestern. The men play Rutgers on April 15 and Ohio State on April 22. Since the games don’t overlap (strategic move, UMD Lacrosse!) you can show your Terrapin spirit by attending all of them! You can view the full women’s schedule here and the full men’s schedule here. The 2018 NCAA championship begins on May 11 for women and May 12 for men. Catch the away lacrosse games from the comfort of your apartment in College Park. Maryland baseball is in a promising place right now, as well. In the last five years, UMD has won 180 games. It’s “the most successful stretch in school history,” says Maryland Athletics. In this article, the team’s success is attributed to newly appointed head coach Rob Vaughn. Over the last five years, he’s served as assistant head coach and assistant coach of Maryland baseball. Looking forward, there are 10 home games left in the season. You can see the full schedule here, but these are the headliners: Between April 17 and 25, the team will face off against Purdue several times; and between May 9 and 13, you can watch the Terps battle Rutgers. Don’t forget your red and black face paint! A Maryland softball game is the perfect spring outing. Competitive games in a more intimate ballpark make for an exciting afternoon. While the baseball field is smack in the middle of campus, this softball space is on the outskirts flanking the Xfinity Center. This means there’s plenty of parking and room for a concessions stand along with 1,000+ fans. Plus, it’s an easy drive from any apartment in College Park, MD. There are 10 home games left in the season. Between April 11 and 17, our Terps will play mostly against Indiana. And on May 4, 5 and 6, we’ll battle it out with Michigan State. You can view the full softball schedule here. But of course, UMD students don’t only root for their best teams. 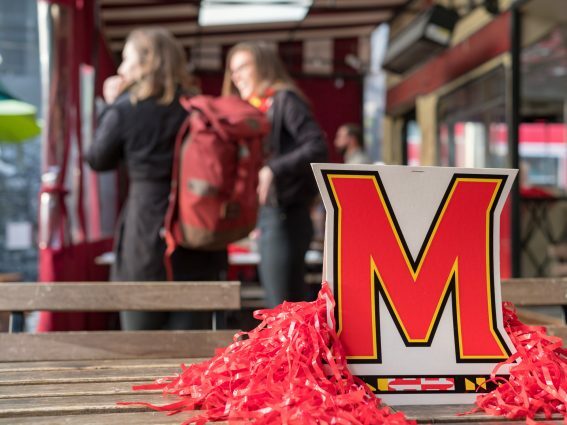 Our generous school spirit is shown every fall in the swatches of decked-out tailgaters that make their way to Capital One Field at Maryland Stadium to watch football. In contrast, some of Maryland’s most underappreciated sports teams compete in the spring. Tennis, gymnastics, and track and field are fun-to-watch sports that are often overlooked. These teams have events going on all season that provide hours of entertainment, courtesy of the university. You can view the full schedule for all spring sports here. Although it’s too warm for T-shirt-blankets or soccer scarves, you can still radiate Maryland pride as you come out of your apartment in College Park, MD. Sport some Maryland flag flip-flops and your favorite Terp tank. And remember to bring your rally towel or pair up with friends to wave a full-sized flag. Lease a ROSS apartment in College Park, MD, and you can deck that out, too! 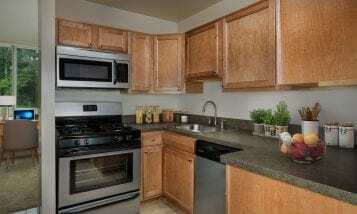 Visit the website today for more great College Park apartment options.